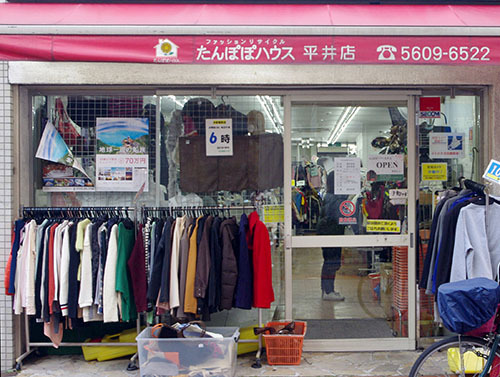 We are the Hirai branch of Tanpopo House, the super-economy clothes recycling store often featured in the media. We carry men's, women's, and children's clothes, all starting from 105 yen! If you have clothes which are wearable but no longer needed, just as long as they are clean they do not need to be brand items, so bring them along and we will buy them.